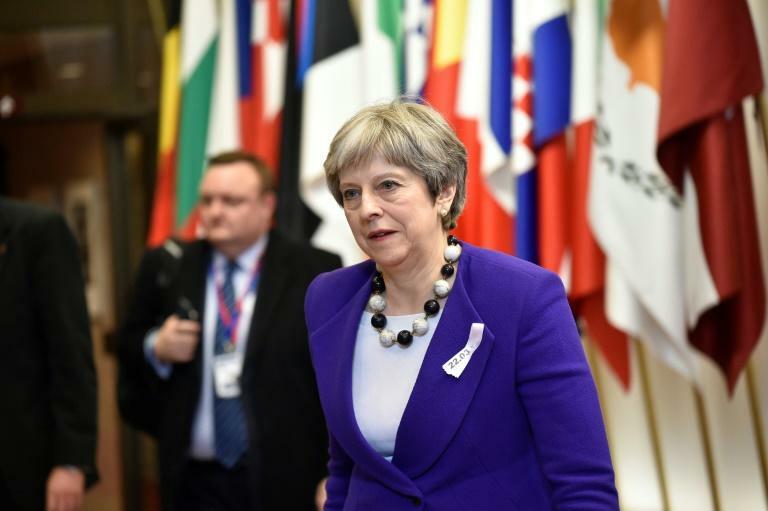 Russia on Friday accused Britain of trying to force its allies to take "confrontational steps" after EU member states decided to recall the bloc's envoy from Moscow and mulled further diplomatic action over a nerve attack row. Foreign Minister Sergei Lavrov hit out at Britain for garnering EU support over the poisoning of a former double agent, suggesting that London's focus was now on making "the crisis with Russia as deep as possible". Diplomatic pressure is growing on Moscow over its role in the nerve agent attack on Sergei Skripal and his daughter Yulia in the English city of Salisbury in early March. The European Union is recalling its ambassador to Moscow for consultations and a number of member states are considering whether to follow Britain's lead and expel Russian intelligence agents posing as diplomats. "As for the decision taken, we regret in this context that again such decisions are taken using the wording 'highly likely'," President Vladimir Putin's spokesman Dmitry Peskov said. "We don't agree with this and we repeat again that Russia absolutely definitely has nothing to do with the Skripal case." Russia's top diplomat Lavrov accused Britain of "feverishly trying to force allies to take confrontational steps". "We still do not see any facts," state news agency RIA Novosti quoted him as saying on a visit to Hanoi. "The absence of which makes one think that all of this is a provocation, the investigation has not even been finished yet." The Russian foreign ministry said it regretted "the European Union opted to take its cue from yet another anti-Russian campaign unleashed by London and its allies across the ocean." 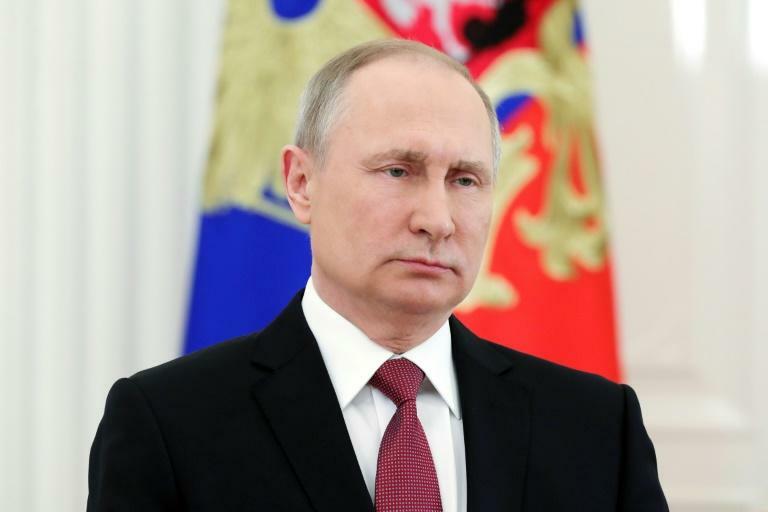 In a televised address, Putin thanked Russians for giving him the "highest level of support in the history of our country" in Sunday's elections and urged the nation to come together amid the "difficult internal and external challenges we face." French President Emmanuel Macron said in Brussels that "we see this attack as a serious challenge to our security and as an attack on European sovereignty." He told a news conference with German Chancellor Angela Merkel that "it calls for a coordinated, determined response from the European Union and its member states." Merkel said further steps were "necessary" to respond to the attack. May briefed other EU leaders on the probe into the Salisbury attack over a summit dinner on Thursday. She managed to overcome reluctance from countries such as Greece and Italy to jeopardise close Kremlin ties and persuaded them to back Britain's conclusion that Moscow was to blame. Merkel said May had shared "certain findings" that left little doubt Moscow was behind the first offensive use of a nerve agent in Europe since World War II. "We believe that the analyses are already very well-founded and this has not been questioned by anyone," Merkel said. She backed further action from EU states, saying: "We agreed -- Germany and France at least -- that such reactions are still necessary in addition to recalling the ambassador." European Commission chief Jean-Claude Juncker said the ambassador's recall was an "extraordinary measure" never before taken by the bloc. But divisions remain over how far to go, with Austria already ruling out expelling diplomats. Tusk said it was not clear how many countries would join the expulsions. "More than one but I don't think that it will be the whole group," he said. The leaders of the Czech Republic, Denmark and Ireland all said they were considering further unilateral steps, including expelling diplomats. Britain expelled 23 Russian diplomats they said were spies, and Russia responded in kind, also halting the activities of the British Council cultural and educational organisation. On Friday afternoon British diplomats left the Moscow mission in several minibuses as remaining diplomatic staff sent them off with a round of applause, Russian television showed. The Kremlin has angrily rejected Britain's claims and Russian officials have offered numerous alternative explanations, including that London directed the attack itself or that Washington may have been involved. The Skripals are both in a coma after being found collapsed on a park bench, although a policeman who was also contaminated was released from hospital on Thursday.